Champion trainer Darren Weir joined Dalziel Racing in 2016 and the team continues to grow as the partnership goes from strength to strength. The trainer of over 35 Group 1 winners, 29 Group 2 winners and a strike rate of over 20% is one of the hardest working individuals in the industry and his commitment to Dalziel Racing is second to none. Weir Racing has training bases from Warrnambool to Ballarat and a first class property in Maldon, providing facilities that are world class and catering for every horses need. Darren left school at age 15 and quickly sought to learn and experience all he could about horses and what makes them tick, which included stints working as a horse breaker, farrier, track rider and strapper. As one who is always seeking ways to learn and improve his knowledge, Darren worked for various trainers including Jack Coffey in Birchip, John Castleman in Mildura, and the legendary Colin Hayes at Lindsay Park before taking out his own trainer’s licence in 1995 aged 25, when based at Stawell. Since training his first winner shortly after, Darren quickly earned himself a reputation for being an astute horseman with the ability to get the best out of his horses and place them to advantage. As his success and horse numbers grew, Darren moved to Ballarat in 2001 and later acquired stables at Warrnambool to compliment his Ballarat base. From these humble beginnings, just ten years later in 2005, Darren became the leading Victorian Country Trainer for the first time. 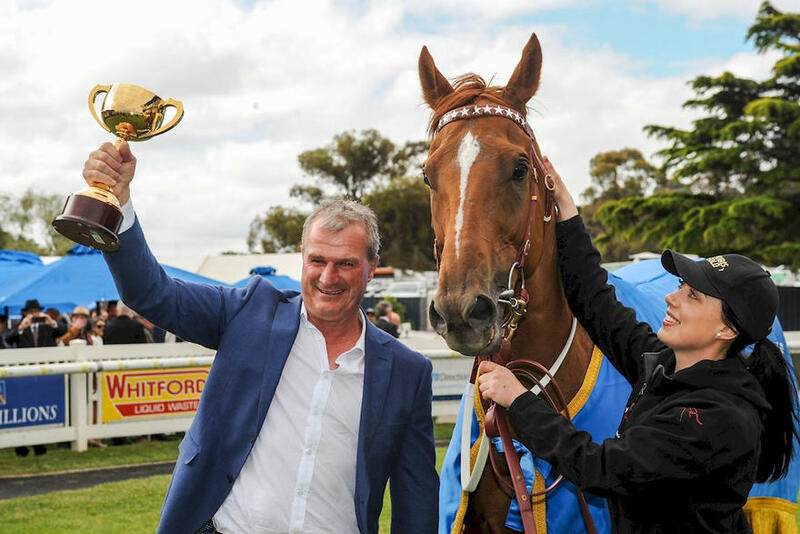 At the conclusion of the 2013/14 season Darren had also claimed the Victorian Metro Trainer Premiership, becoming the first country-based trainer to do so. Not only has he maintained his mantle each year since, but Darren also now holds the Commonwealth training record for most number of wins in a season, firstly breaking it in season 2015/16 with 348 wins, and eclipsing it again each year since. The Darren Weir juggernaut continues on an upward spiral and is not about to slow down any time soon. Phillip spent his very early years with his parents on a cattle station knocking about with his brothers before discovering his passion for horses. His father had always had a close affinity with horses and it wasn't long before a young Phillip was in there helping his father break in and educate the stations young horses. Phillip has a special ability to get horses ready for the moment and is an advocate of regular beach work and chiropractor visits ensuring his horses are healthy and happy. Combined with his personalised dietary and physical attention for each horse, it has proven to be the right medicine to his on track success. His black type success has been outstanding with an admirable record of 45 wins, 30 seconds and 42 thirds, included in these results are three G1 victories being Marju Snip and Maybe Discreet both in the Australasian Oaks and more recently the $1 million dollar performer, Hucklebuck winning the Emirates Stakes on the final day of the Flemington Spring Carnival in 2014 (the stable had 3 winners from 3 runners on the final day to finish with four winners for the carnival and equal top trainer). Some of our other black type performers include: Squillani, Eclair Big Bang, Eclair Surprise, Symphony Miss, Just Discreet, Forever Discreet, Freestyle, Molto Bene, Made of Diamonds, Lunaspur, Fire Thunderbolt,St Trinians, Nancy Eleanor, Buddy Bundy, Bleveeka,Family Guy,Fasline,Pride of Archway and Vignor. In 2013/2014 Phillip won the South Australian Metropoiltan Trainers Premiership with 55 winners by a margin of 18 to the next trainer which was an outstanding achievement at an excellent strike rate of 26%.The same year he finished ninth in the National Metropolitan Trainers Premiership with 60 winners at a 24% strike rate. Phillip has built a fantastic reputation for guiding fillies to black type race success and his open mind with his horses allows the stable to tackle any race across Australia. If the horses are going well enough, Phillip and his team will travel them to their best advantage. Phillip Stokes Racing is backed by a committed team of staff dedicated to provide the best results for their clients. David Hayes spearheads the Lindsay Park Team. David became the youngest member to be inducted into the Australian Racing Hall of Fame in 2008. The Hall of Fame Trainer has trained in excess of 2,800 winners including 78 Group One winners in three different countries. 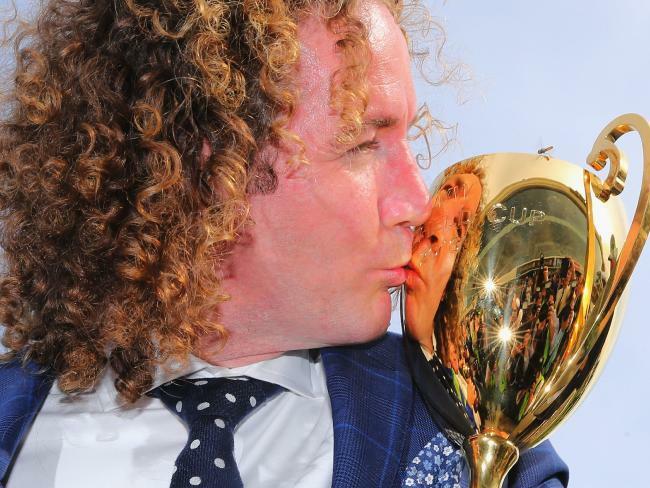 Ciaron Maher discovered the thrill of Group 1 success in 2007, less than three years into his training career. That was the day Tears I Cry won the VRC Emirates Stakes at Flemington. Black type races have flowed since then, Srikandi winning the AAMI Stradbroke Handicap (Group 1) at Doomben and the Sky Racing Tatts Club Tiara (Group 1) at the Gold Coast, Set Square winning the Crown Oaks (Group 1) at Flemington in 2014 with Jameka making it an Oaks double in 2015. Jameka stamped Ciaron’s growing profile by storming to victory in 2016 Caulfield Cup and Bon Aurum’s Group 1 victory in the Spring of 2016 proved that the young man from the “Bool had arrived. Ciaron is a young trainer with an eye for picking winning prospects at yearling sales and he is hard-working, thoughtful and, above all, patient. We are delighted that Ciaron is one of our champion trainers and owners can be assured that very horse will be given every chance to develop its full potential. Bryan Guy began training in 1992 after the sudden passing of his father, successful trainer Ray Guy. Bryan tasted immediate success winning with his first starter, All Our Mob which would later go on to deliver Bryan his first Group One victory in the QTC Stradbroke Handicap. During the preceding years Bryan continue to train a vast amount of winners and was a constant in the top ten of the Sydney trainers premiership. Bryan decide to establish a satellite stable at the Gold Coast in the year 1998 and while only small in horse numbers, the winners flowed. After two years Bryan made the decision to move the entire stable to the Gold Coast and what a move it has been. In this time Bryan has trained the winners of many of the South East corners feature races and has won the Metropolitan Trainers title as well as the South East district tittle twice and also the Ipswich trainer’s premiership twice. Bryan is also amassing an impressive record at the state’s feature race day, the Magic Millions winning most of the races on the card. While he is yet to win the big won he has been placed on a couple of occasions. Bryan has won three group one races and has won over seventy stakes races and well over 1000 winners and this record holds Bryan in the top echelon of trainers in Queensland with very few other trainers having a record to rival Bryan.